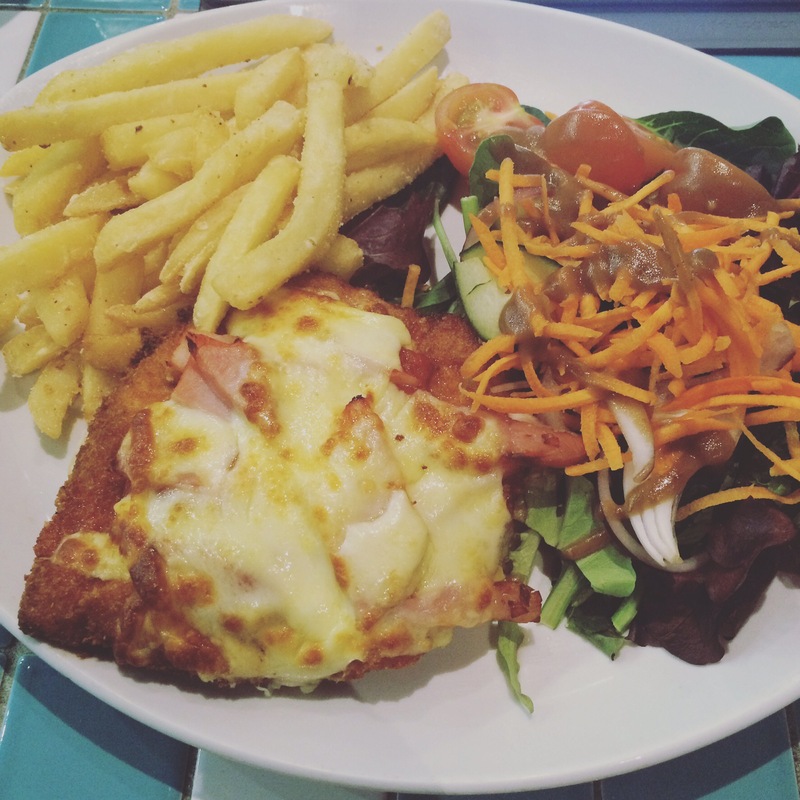 The Verdict: I have been told a few times this week that the photo I posted on the Brisbane’s Best Parma Instagram of the Kedron Wavell chicken parmigiana looked really good. What a shame that the image posted was deceiving in almost every respect. This was not a good chicken parmigiana. Chicken: I can barely recall having had a dryer more overcooked piece of chicken since I started searching for Brisbane’s Best Parma. It had the consistency of cardboard and proved extremely difficult to even cut through. Tomato Sauce: In the search for something positive to say about this chicken parmigiana I am prepared to confess that the sauce on this parma was actually pretty good however there was just not enough of it. Ham: Where was it? There were some small slivers of ham amongst the melted cheese but it was in no way enough. That meant that I could not really taste it and that is almost as bad as if it had have tasted terrible. Cheese: The other minor positive of this dish was the fact that there was a significant amount of cheese melted on the chicken piece. It tasted quite nice. Side Dishes: This is one particular area where looks were definitely deceiving with this dish because, despite the chips photographing well, they were, for the most part cold. The salad was bland and had the texture of having been in the fridge for a couple of days too long. The Venue: Kedron Wavell Services Club is situated, effectively, next door to the Chermside Shopping Centre in Brisbane’s northern suburbs. It is a Returned Services Club which has clearly expanded over time off the back of pokie machine revenue. Two restuarants on the ground floor are available, one a bistro and the other a buffet. Parking is plentiful. The Final Word: All in all this was a very disappointing effort. There was not a particular element of the meal that was worse then the others: they were all a bit below par. Enough said really! This entry was posted in Uncategorized and tagged Brisbane, brisbane food, brisbane's best parma, chicken, chicken parmigiana. Bookmark the permalink.